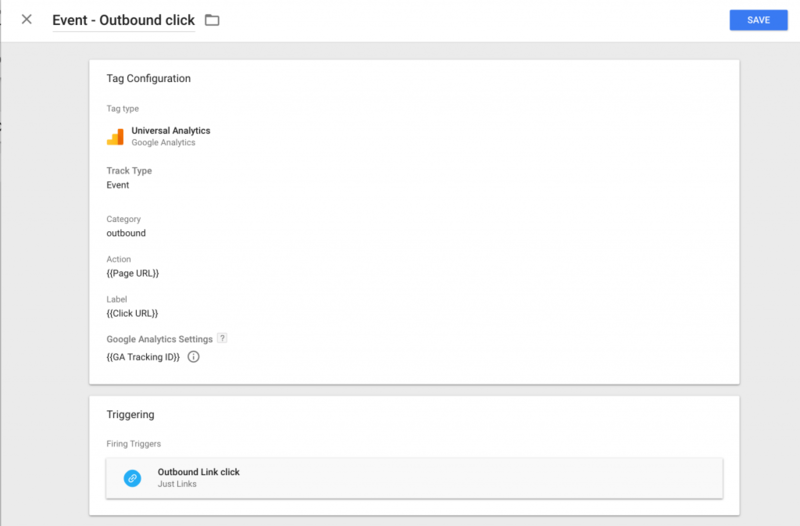 In this post, I’ll teach you how to create Google Analytics events for outbound link clicks happening on your website. This will allow you to track specific conversions in Google Analytics (GA), for instance affiliate clicks, or visits to your main landing page from your blog. To get the whole analytics setup in place, I will show you how to use Google Tag Manager (GTM). By doing so you will avoid wasting time on your server and you will avoid the risk of breaking your website appearance. Tracking outbound links might be especially interesting in a bunch of cases.Most of them depend on the purpose of your website. Clicks to a landing page (content marketing): If you are doing content marketing, chances are that you write on a blog to generate traffic to a landing page. This is the case of this page. I’m writing this tutorial to attract readers who might be interested in trying Repost (see the link somewhere in this page?). When you are the blog manager, you want to track clicks to your landing page to confirm you are not wasting your time writing this new series of posts your CMO suggested. If you generate views, but no one click one your target link, your efforts are useless. Tracking affiliate links (revenue-generating blog): If your blog was created to generate passive income, you are probably writing blog posts about products and using affiliate links to earn some money. Affiliate links might come directly from a vendor (like Amazon) or from an Affiliation platform. 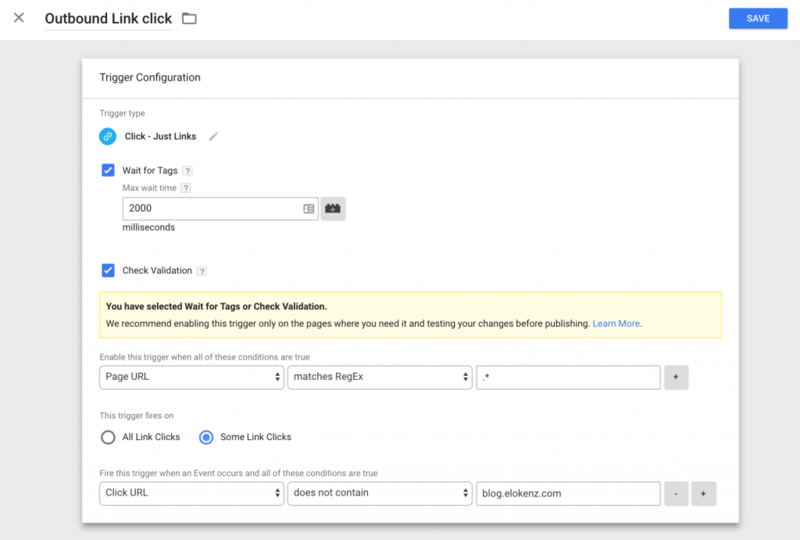 In some cases, you will use a link tracker tool (bit.ly, clickmeter) to hide the final link. But generally you want to retrieve all your stats in Google Analytics to know which articles generate more affiliate traffic. That will also help to get your own independent stats. User-Generated Content (forums, job boards, classified ads, …): When you are not the one who produces the content, it might be important to track the popularity of link posted by your users. It might help you for a potential partnership. Say that your users create a viral thread about product X from brand Y. If your analytics show that your traffic generated 2K clicks this week, you might want to outreach the marketing department at Y to leverage this popularity by setting up a paid campaign on your website. Co-branding (guest posts): When you invite people to write on your site, it might be great to provide them numbers. If you can tell them that their post generated 400 clicks to their site, it’s better than just saying that their post generated 3K views. … you’ll always find a great application. GTM is well connected to the Google marketing apps suite. 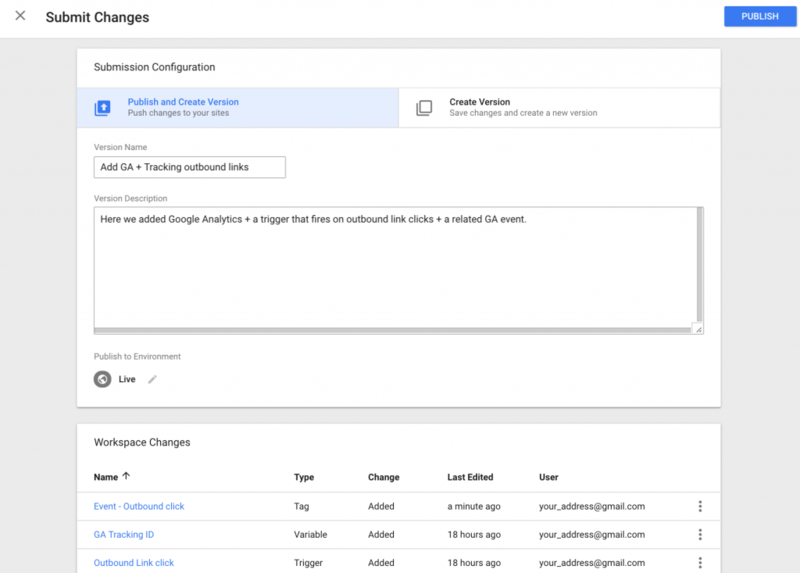 You probably already have a Gmail + Google analytics account if you are reading this article, so creating a GTM account will be really easy. When you are in, GTM will ask you to create an “Account”, here, I suggest you to enter the name of the company you work for, or the name of the project you are working on. You will then create several “Containers”. Containers will represent a set of tags you will use on a given website. Here, I suggest you to use the domain name of the website. In the following screenshot you’ll see how my containers are grouped under an “Elokenz” account. For now, just create one account and one container. Depending on your CMS or Framework, you might already have existing plugins that would help you to get up and running in a few clicks. I’ll let you look around for the best way to install it on your website. If you already have Google Analytics installed on your site, then you can skip this section. Now that you have GTM installed on your site, you can add many external services to your website without much trouble. Some official integrations have a deep and optimized relationship with GTM. This is the case with Google Analytics. The installation only require your GA tracking id. Start by creating a GA account and property. Things are pretty straightforward here since it’s pretty similar to what you did with GTM. I’m not going too much into details here, but once you are done, you need to find and copy your GA Tracking ID. For that, got to “Tracking Info” section (under the “Property” column). Copy this number, visit GTM and head over to the “Tags” section. This is where you will be adding new tags to your website. But wait, … before doing that we will save your Tracking ID as a variable (a piece of information that can be reused in several different containers later on). 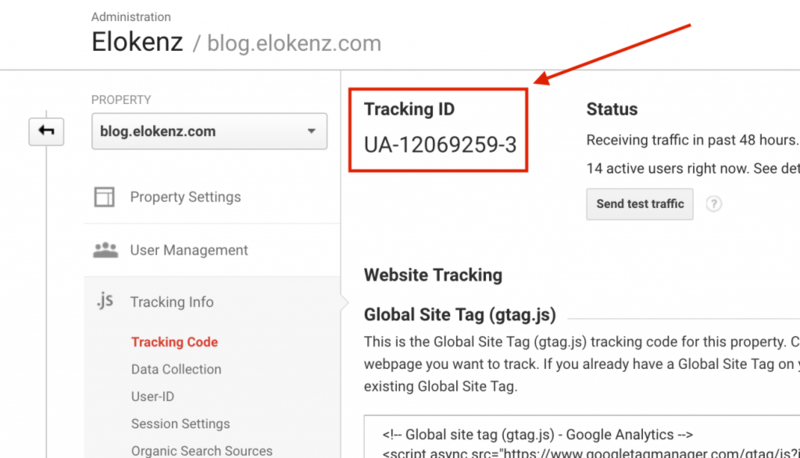 Don’t forget to use the GA Tracking ID variable we created earlier when configuring the Universal Tag. Save the tag. Once you are good, you should have 2 changes in your current container: a new variable and a new tag. These changes are not applied in production (to you live site) until you say so. So you need first to tell GTM that you are happy with your changes. To do that, hit the “submit” button on the top right area. Now you should have a live working version of Google Analytics on your website… and you didn’t have to do any change on your server for that. Amazing! Alright, so, let dive into the interesting stuff (let’s be honest, you probably already had GA installed on your site). 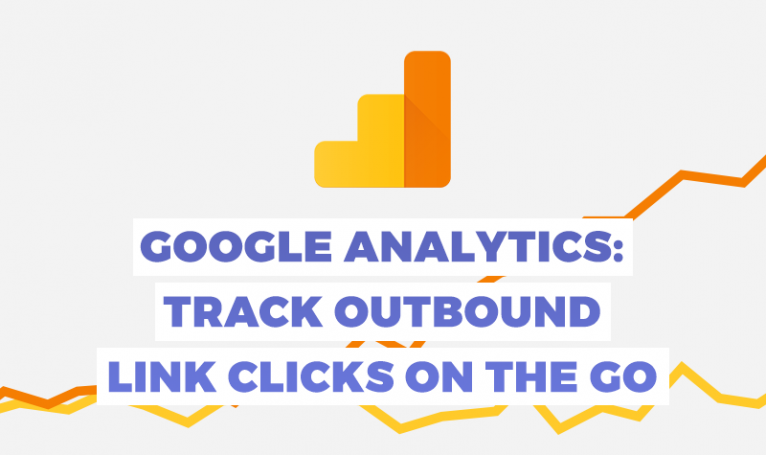 We are going to track all outbound clicks from your website. By outbound links, we’re referring to clicks that lead to external domains. All will happen in GTM, so you don’t need much browser tabs open. First thing is to create a custom GTM trigger. A GTM trigger allows you to decide when and where to trigger a tag. Then we will create a GA-dedicated tag to save events in our analytics dashboard. Click on the “Triggers” link via the left menu and then on “New”. Name your new trigger something like “Outbound Link click”. Then you’ll need to pick a trigger type, click on the central icon, then find the “Just links” type under the “Click” section. Save it and we’re one step away from the end. Good, let’s now go back to the “Tags” section from the left menu. We are going to create a new tag whose purpose will be to register a new event to GA when our “Outbound link click” trigger fires. The setup is now complete. You should now “Submit” changes: you need to enter a name describing the recent changes (and you can also add an additional note if you’re working with other people). Hit Publish, and try to visit your site and click on few outbound links. 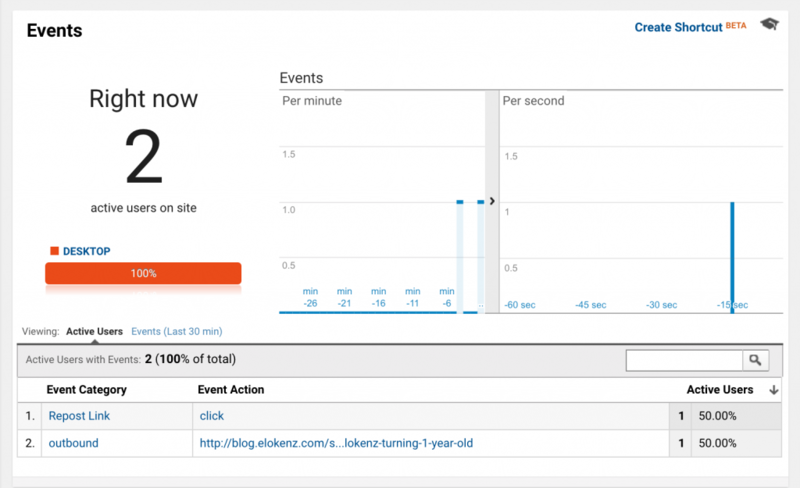 Your Google Analytics Real Time view should reflect your new events. That’s it for now. Let us know if you have any questions about the implementation.